This Patriarch model is so cleanly painted it's crazy. Not only is it very clean, but it's also very subdued and minimalist while still staying true to the 'Eavy Metal scheme. 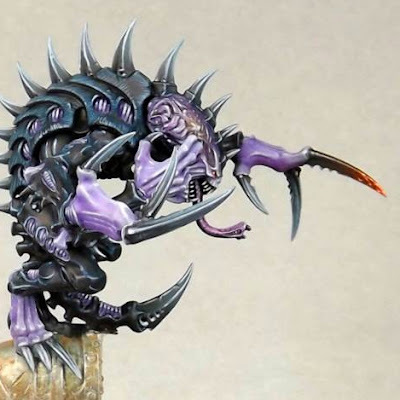 I like the choice of a darker carapace. It's almost black while still having hints of blue in it. The cartoonyness of the model has been brought down a bit with that choice and it helps me imagine this as being a real creatue more. The glow from his finger and head have also been toned down a bit. I think my favorite part though is the base. 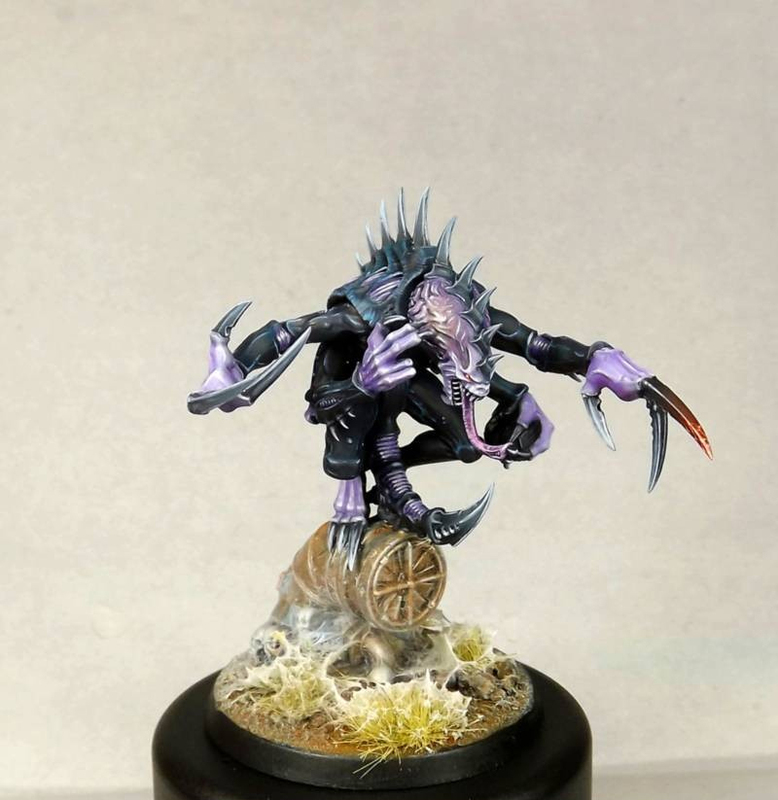 It uses the perfect combination of colors to frame the model and really make it pop. The most impressive part of it for me though is the spider web like material on it. It truly looks alien and conveys the idea of that area being infested. I'm not sure what they used to make it, but I would be very interested to know. Overall this mini is fantastic.